At first, I found it fun. I was brimming with ideas, inspired by all the bloggers who have posts up every day and make a living out of it. I thought that posting every day would make readers like me more and prevent my blog becoming stale. I only lasted for a month before it got to the point where I was still hastily typing posts at 11pm, almost crying because I didn't have the post finished for the next day. If my daily views were under 300, I became an anxious mess and it was starting to show in my hastily thrown together, random posts. "Why don't you just stop?" But it's not as simple as that. Blogging for me has become an addiction, the buzz I get from the comments and shares is simply too good to let me stop. 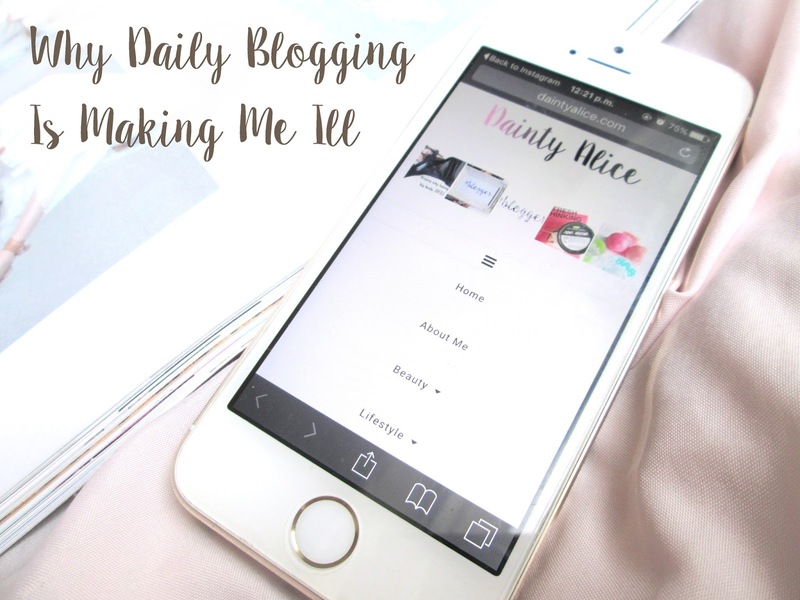 It didn't help that people told me they were so inspired by the fact I managed to blog every day and that I must be seeing some amazing results. I really am, but the price I'm paying for it doesn't make it all worthwhile. Instead of having a nice night in with my boyfriend, I'm tapping away on my laptop. I've missed out on things because I'm just 'too busy' writing posts and editing photos. If I don't get my photos taken at 12pm every day when the lighting is best, I'm thrown into a panic. "Babe, you look absolutely bloody shattered." It really struck a chord with me. "I think it's time the blogging stopped" he continued, stroking my head. "Health always comes first, I'm sure your readers will understand." That piece of wisdom came courtesy of Amy from Scariel's Grotto and absolutely finalised my decision to stop blogging every day. From now on I shall be posting only on a Monday, Wednesday and Friday as self-care is so much more important. Maybe when I've finished college I will be able to pick it back up again, but for now I just have far too much on my plate. I would rather have awesome content every other day and still be able to have time out, than something medicore every day of the week. To every single person who takes the time out of their day to read my blog, thank you. I hope I haven't let you down. I'm really glad you wrote this post because I have been thinking about starting posting everyday but honestly can't think about where I would find all the time. Also, you're so right, there is such a rush that comes with getting shares and posting a new post that you've worked really hard on, but that would be too exhausting to keep up all day every day. Parts of blogging are really hard work and so it is important to keep most of it fun - that is why we all start in the first place! Thanks for this post it was really great and honest! Baby girl never ever feel as though you have let anyone down !!! You blog because it makes you happy - not feel stressed ! Health will always come first, and things like family, school, work should too! Nothing (not even blogging) is worth making yourself I'll over !! I know how hard it is because especially when you start blogging you feel so excited and want to do so much for it .. But you have to find a good balance.. And it definitely seems like you have !! I'm really glad you've made the decision to blog less. When I first started I blogged every day but it soon became way too much for me. I found I was writing pointless posts just to get something up! You have absolutely no reason to feel bad about cutting back to 3 days a week!!!! You have to take care of yourself first, love! You haven't let anyone down, take some time for you and try to focus less on the numbers. 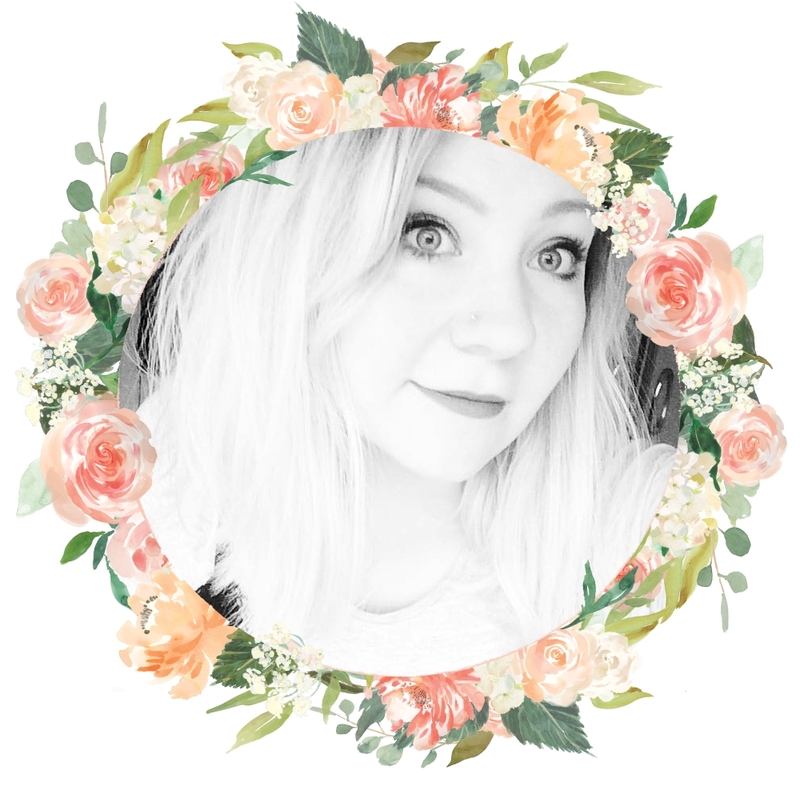 I've only just started my blog and sometimes i feel like i'm just talking to myself but I know eventually readers will come and I started writing for me <3 Feel better soon. I used to blog every day too but I stopped because I found that it was stressing me out too. My blog is a movie blog, and because I work full time, I don't get the chance to look for movie news everyday, or watch a movie every night when I get in from work because I usually get in late and I am too knackered. Blogging should be fun, and you should do whenever you want, not because you have too! Hope you feel better soon. Your health does matter & I don't think you're letting any readers down, I'm sure that if they really like what you do then they will understand & want you to put yourself first... Not only will you feel the benefit but your blog will too. Keep your chin up & just do what makes you happy. You have no reason to apologize. I know how overwhelming things can get - whether it is blogging, work, school and so on. You are so smart for realizing you need to pull back a bit. I wish you the best of luck and I am sure anyone that reads your blog will understand.